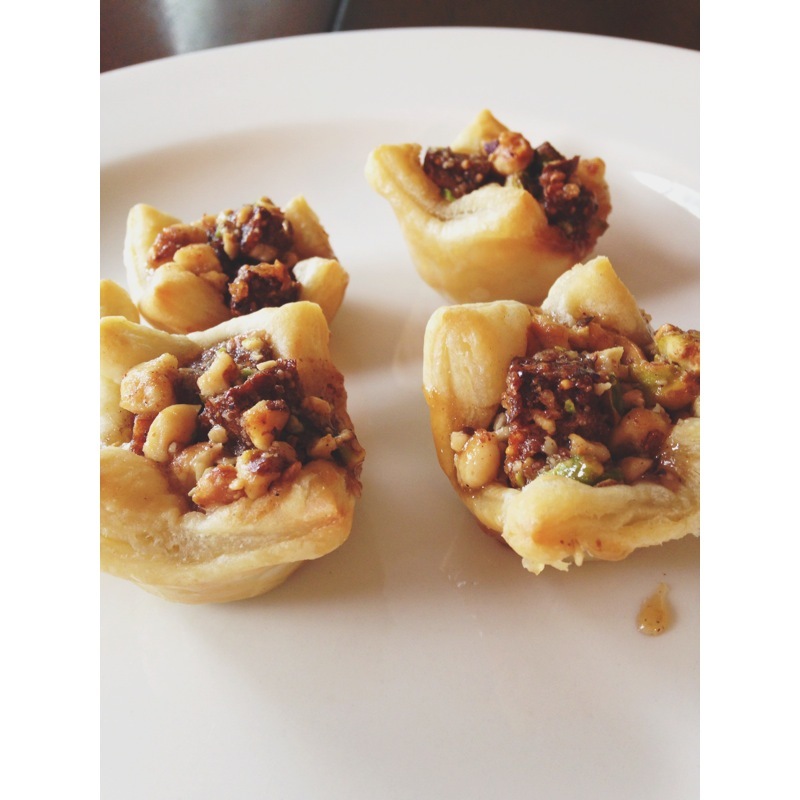 Baklava Tartlets with Fig and Walnuts « Great Lakes International Trading, Inc.
Cut puff pastry with a pizza cutter into 24 squares. Spray mini cupcake pan with cooking spray. Gently press squares of pastry into each muffin cup. Mix Tapas, nuts, honey and melted butter and honey in a bowl. Spoon a small portion of filling into the cups. Bake for 10 minutes, or until puff pastry is turning light brown. Allow to cool for a few minutes, but lift out of cups with a spoon before it cools completely, because it will stick.